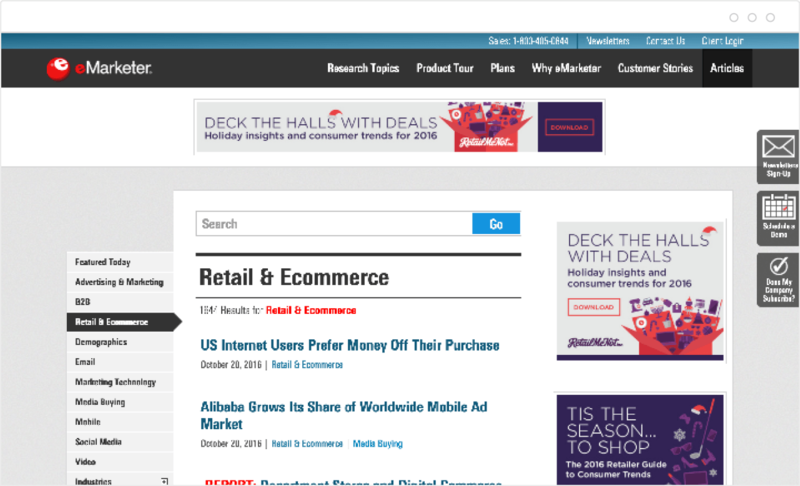 Top 25 retail industry websites that’ll keep you informed, motivated, and inspired. Welcome to the second edition of Vend’s top 25 retail websites! From design inspiration and cutting-edge technology to marketing tips and sales advice, these 25 blogs and publications are retail-knowledge goldmines. The National Retail Federation’s site is at the top of our list once again and for good reason — the NRF continues to publish timely, newsworthy, and educational content that not only gets people thinking, but prods them to actually do something. The NRF even has an Action Center on their website where they encourage retailers to contact their representatives and make their voices heard. Clearly, the NRF isn’t just about posting articles to be read; they’re about making real change happen for retailers. Bob Phibbs’ tagline on his blog is “Attract, Close & Delight Your Customers,” and we have to say that his site has lived up to that phrase time and time again. Bob (aka The Retail Doctor), publishes weekly posts to help retailers engage customers and close more sales. One of the things we love about Bob is that he writes in a practical, down-to-earth way and each of his posts come with actionable takeaways. Also, if you’re serious about selling more, check out SalesRX, Bob’s interactive and on-demand sales training program, which is sure to make you and your staff much better at engaging and converting shoppers. Want to know what the biggest names in retail are up to? Retail Dive can get you up to speed. This website keeps you informed on topics such as retail technology, marketing, ecommerce, loss prevention, and other industry trends. 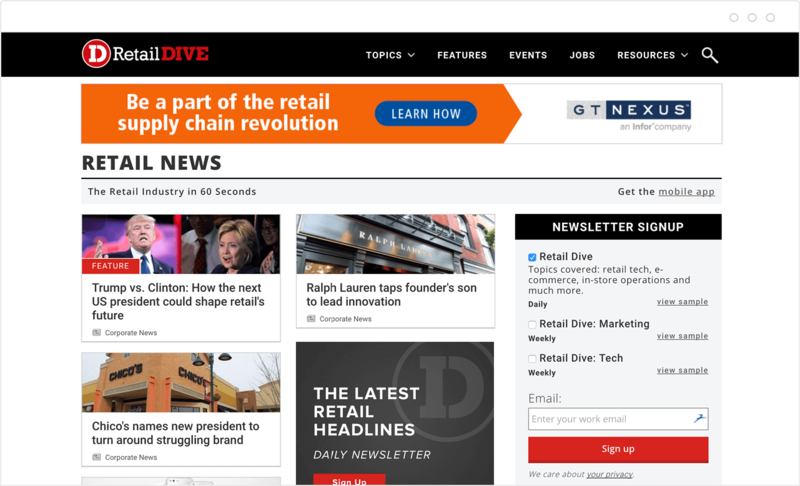 Plus, a lot of Retail Dive’s posts contain expert analysis so you can get better insights into what’s going on in retail. 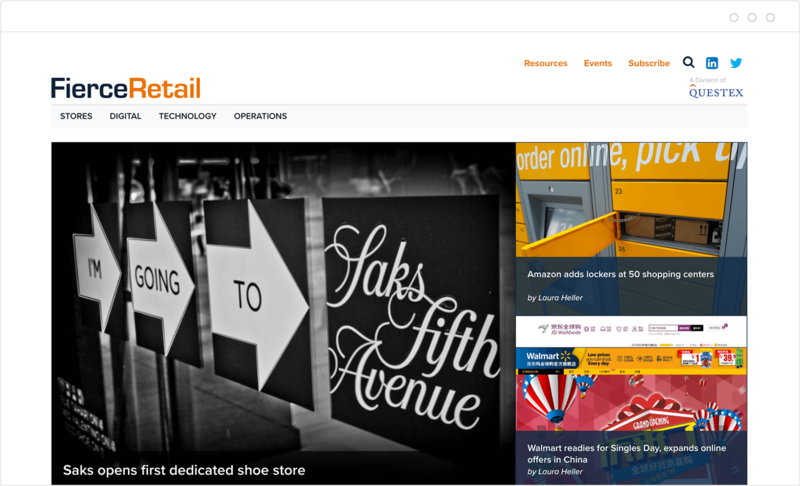 Retail TouchPoints is your go-to site if you want to understand modern retail. The staff at RTP are constantly publishing informative posts on the important trends shaping the industry including marketing, mobile, social, omnichannel, and retail analytics. 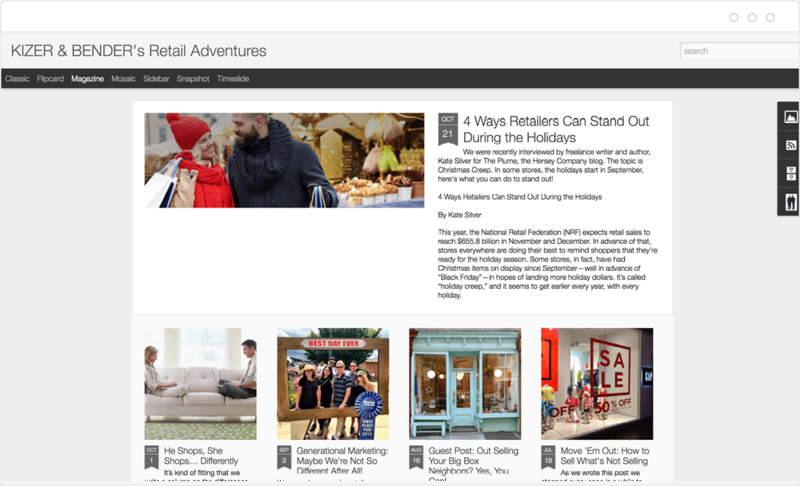 We love the fact that Retail TouchPoints doesn’t just stick to straight news articles; you’ll also find interviews, webinars, and executive viewpoints, so there’s always something new and interesting on their website. Ever wish you could get several retail pundits at a roundtable and listen to them talk about the issues? That’s what RetailWire does. Each business morning, the site publishes newsworthy pieces, and members of the RetailWire BrainTrust (i.e. 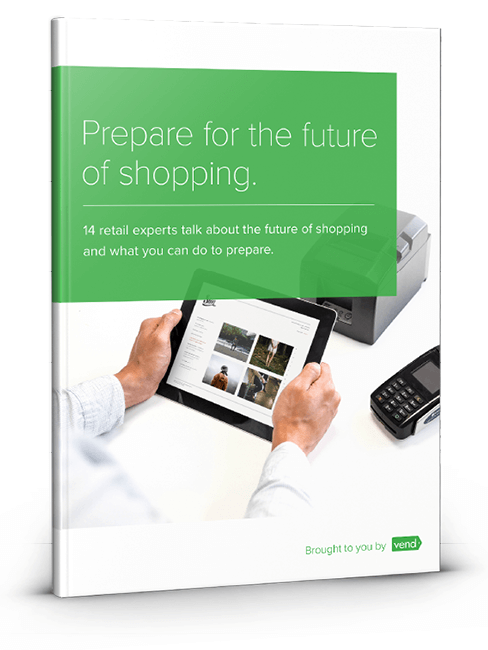 a panel of retail experts) weigh in with their thoughts. Thanks to RetailWire, you’re not just learning about the issues, but you’re able to get a deeper understanding by reading what other independent experts have to say. Looking to beef up your omnichannel strategy? 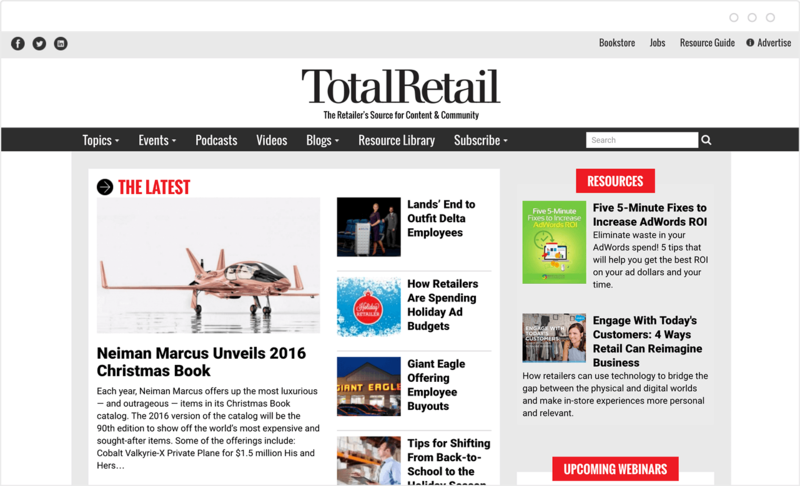 Total Retail has articles, podcasts, reports, and even events that can help. 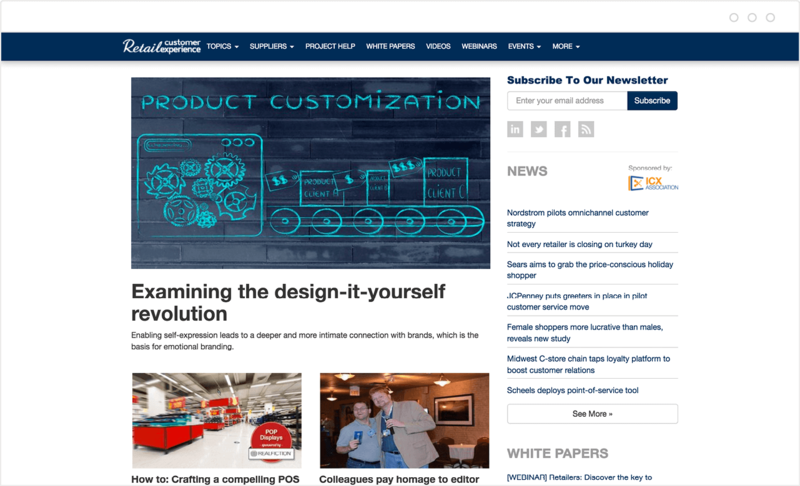 The site covers topics like customer retention, customer service, merchandising, management, and operations. You’ll also find content on brick-and-mortar, ecommerce, catalog, and mobile. What’s more, Total Retail has a section called Omnichannel Integration where it offers an in-depth look at how retailers are merging the online and offline worlds — a must-read for any retailer who wants to learn more about running an omnichannel operation. 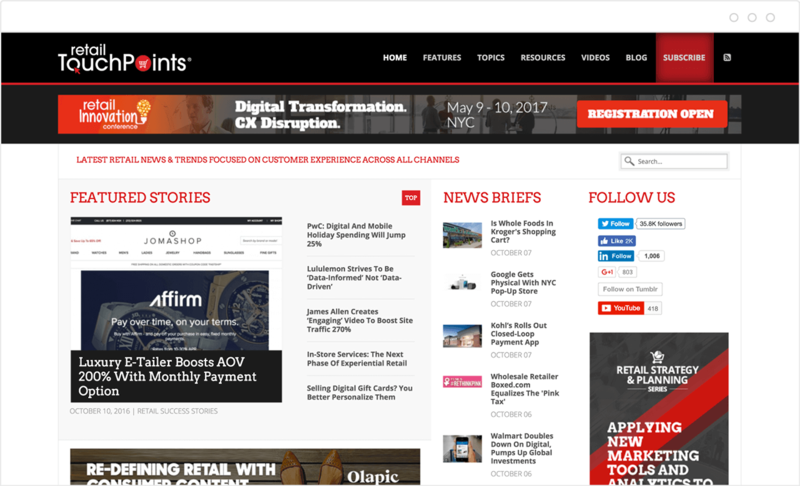 PYMNTS is the #1 source for all things payments and commerce innovation. As a retailer, you should always be aware of what’s going on in the payments industry, particularly given the impact that new payments innovation has on the ways in which consumers and retailers interact. Want to know what’s worth considering and what’s just a shiny new toy? Want the latest on how to tackle fraud and keep data secure? What to know how to reduce friction at the physical or online/mobile point of sale? 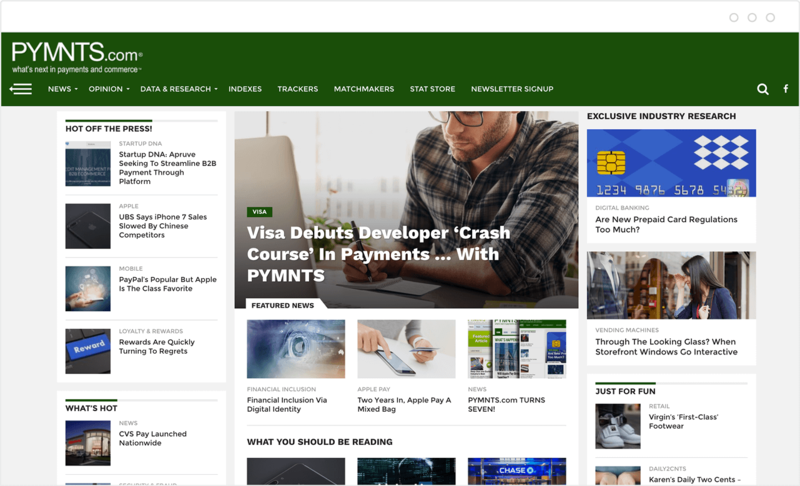 PYMNTS.com gives you everything you need to know through a mix of interesting and interactive content including feature articles, CEO interviews, proprietary data and consumer surveys, digital discussions, audio/video content and branded events. Retail Customer Experience is all about helping retailers compete on experience instead of price. This site is packed with articles, webinars, whitepapers, and other resources to help retailers understand how today’s consumers shop and what merchants can do to engage and convert them. 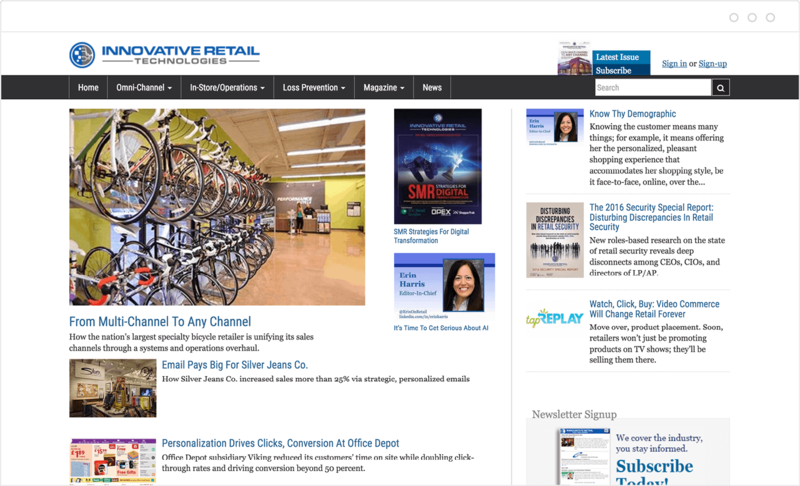 RIS News sits at the intersection of retail and information technology. 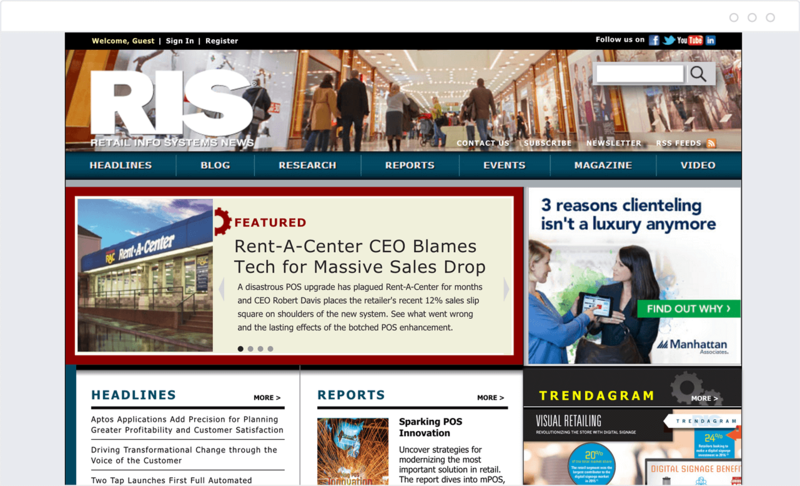 If you work in IT and deal with POS systems, business intelligence, cross-channel commerce, supply chain, store systems, and other technologies, RIS News is a site that you should read regularly. In addition to covering the latest industry news, it delivers research reports, videos, and other content pieces to help you make more informed decisions when it comes to retail and IT. FierceRetail is an excellent source of news and information on business strategy, consumer trends, store operations, technology, and digital retail. The site is updated daily with articles on what notable retailers are up to, allowing you to stay in-the-know on industry happenings. FierceRetail also has an events directory where you can check out upcoming conferences, expos, and networking opportunities. 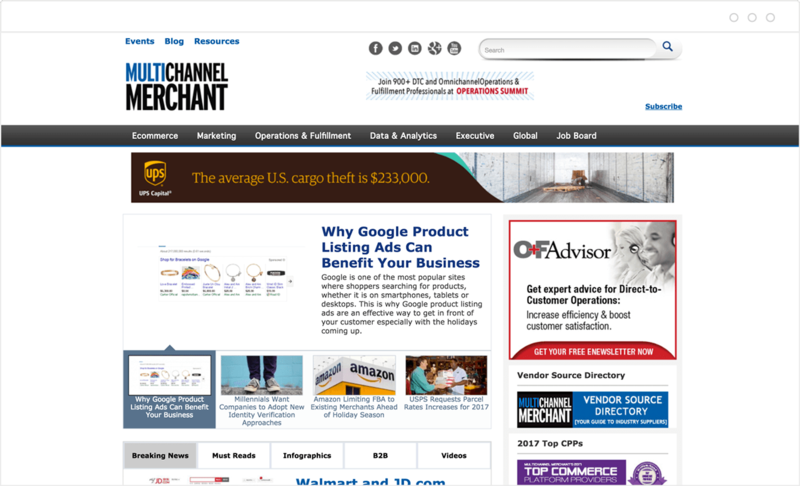 Multichannel Merchant is a valuable resource for ecommerce merchants. The site provides analysis and insights into various retail functions, including ecommerce, marketing, and data & analytics. Whether you’re looking for information that you can use in your day-to-day operations or need insights to help with strategic initiatives, you’re bound to find something useful on MCM. 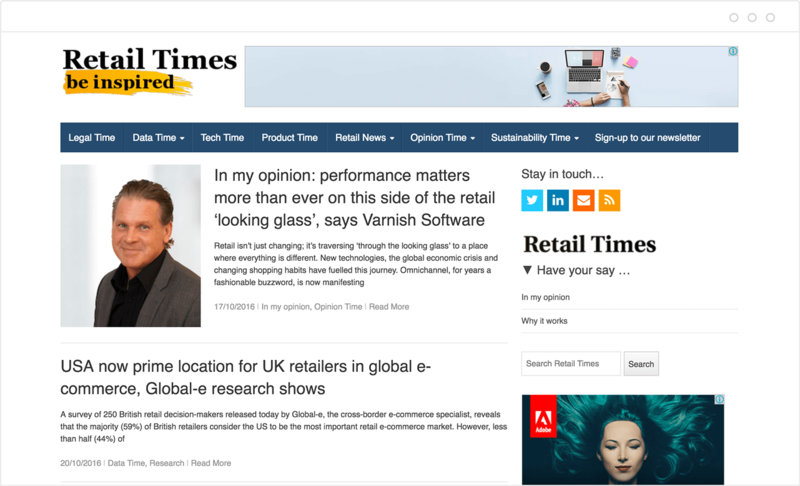 A great publication from the UK, Retail Times delivers both local and global news articles to keep you updated with the state of the retail industry in the UK and beyond. 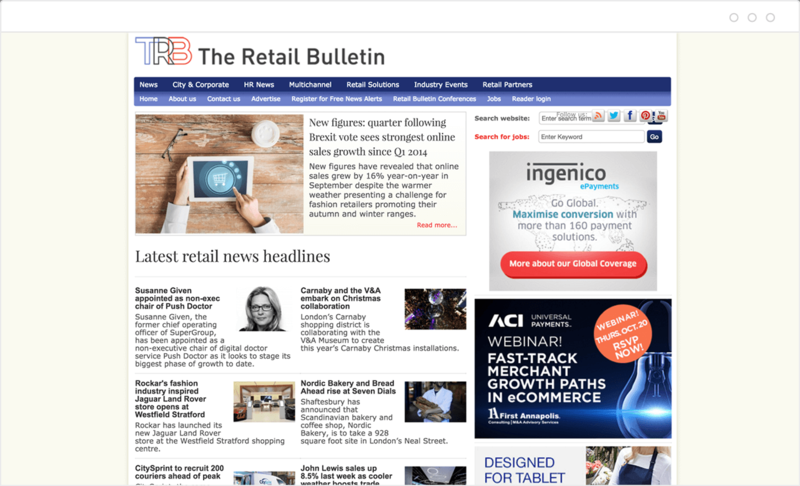 Whether you want to read up on the latest news and research or are looking for retail-centric analysis and expert commentary, Retail Times has you covered. Need to spruce up your store’s look and feel? Right this way. 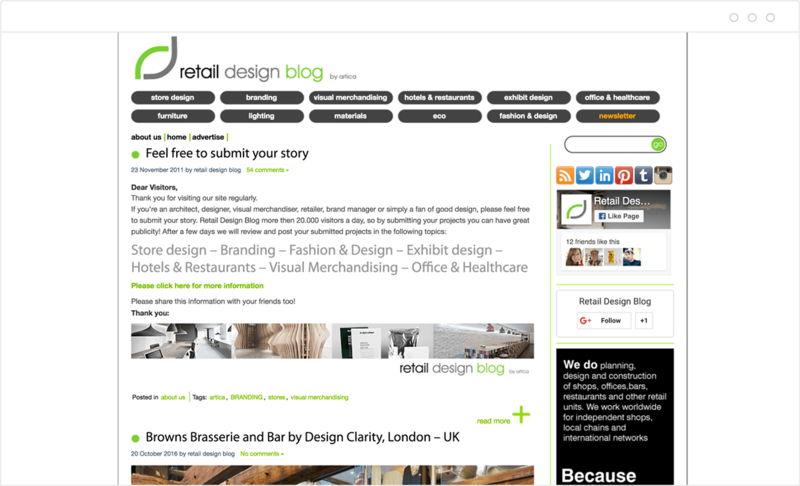 Retail Design Blog is a great source of ideas for store designs and visual merchandising concepts. You’ll find vivid images of well-designed stores and spaces and get to read about how they came about. 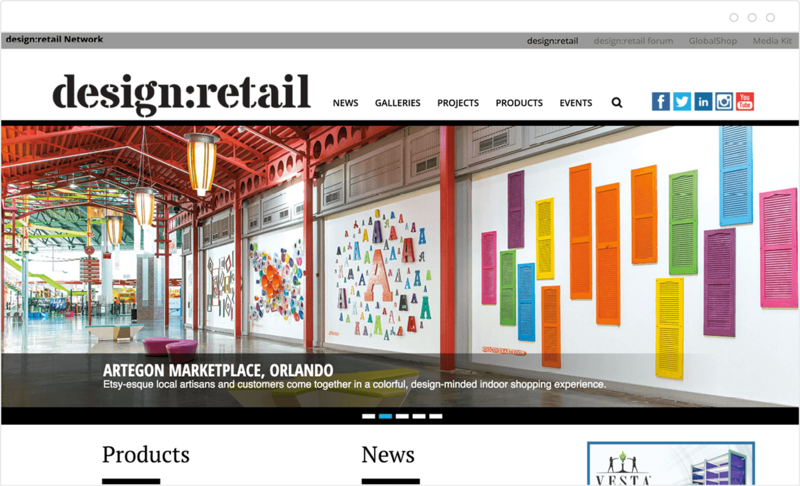 The site also accepts submissions from users, so if you have a great-looking store, the Retail Design Blog could give you the platform to showcase it. Thanks to sites like Innovative Retail Technologies, keeping up with the latest in retail tech is easy. 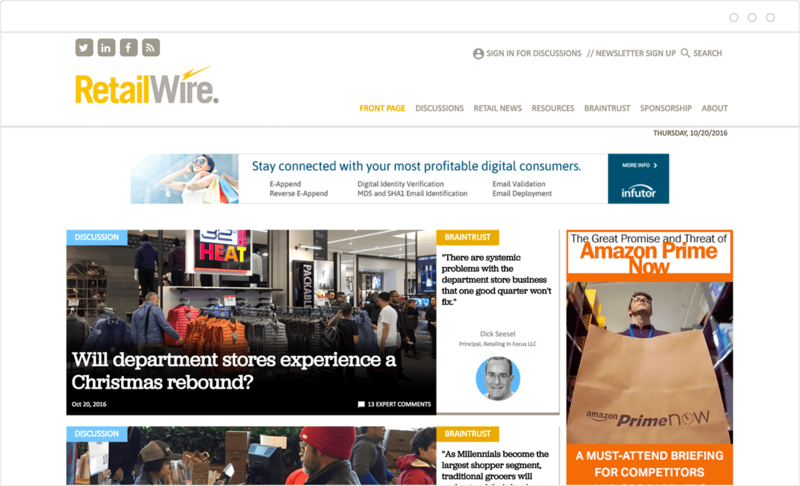 The site delivers original content by IRT’s editorial staff, news articles, guest commentaries, and reports to keep you up to date with insights and best practices when it comes to retail innovations. If you need information on how you can implement technology in your business or simply want to know what other companies are doing, IRT has something for you. A blog by consumer anthropologists Rich Kizer and Georganne Bender, this is a super insightful site that talks about a variety of topics including customer service, sales, technology, and more. Whether you’re looking to ramp up your social media strategy or are in need of sales tips, you’ll likely find some great words of wisdom in this website. Rich Kizer and Georganne Bender, Speakers, Authors, and Consumer Anthropologists. Chain Store Age is all about retail — big brands and lesser-known ones; physical stores and pure players — and everything in between. As the leading source of news for retail C-suite executives, CSA reports on all areas of retail: omnichannel, technology, operations, marketing, finance, real estate, store design, construction and facilities management. If you are a retail executive, CSA can provide the type of information and insights that not only keep you updated in today’s fast-changing environment, but also help you do your job better. And if you want a better understanding of trends and issues, check out CSA’s webinars, white papers, special reports and other resources. 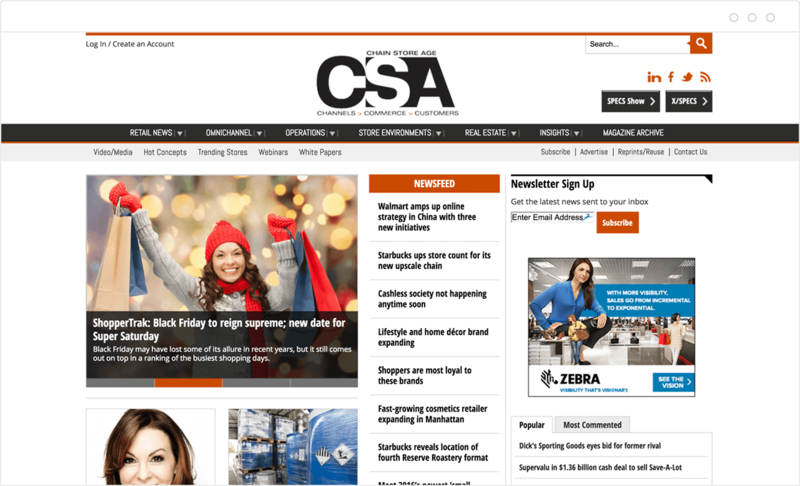 CSA knows retail — inside and out. Need a quick source for retail news? Look no further than the Retail Bulletin. TRB covers the latest company news, breaking stories, and summaries of media coverage in the retail industry. It’s updated several times a day and is the perfect source for busy retailers who just want to get the news and go about their day. TRB is based in the UK, but it also covers global retail issues. 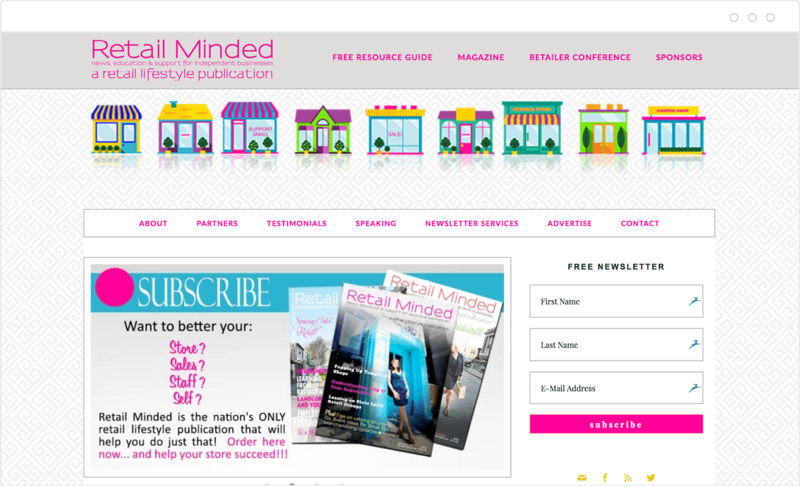 Retail Minded is packed with excellent articles and resources for independent retailers. 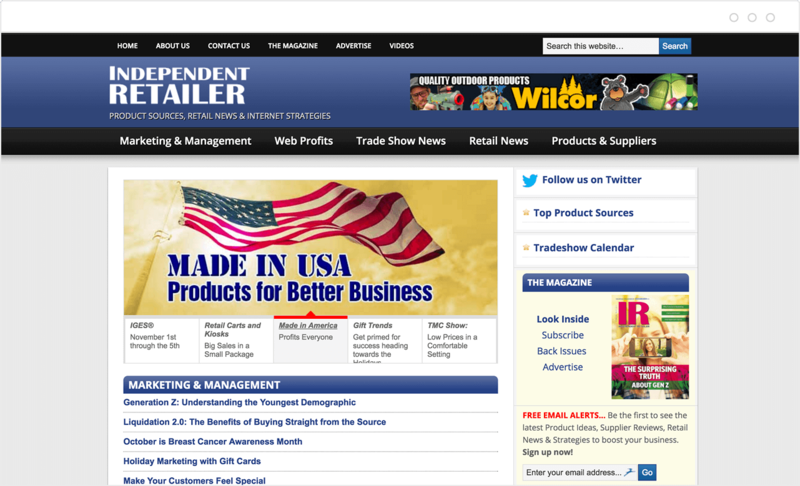 It covers all the important topics an indie merchant should care about, including sales, staffing, marketing, and more. Nicole Leinbach Reyhle, RM’s founder, is one of the best sources of information and insights in the space. She’s worked with retailers and wholesalers such as Nordstrom, Adidas America, Sears Corporation and Franco Sarto Footwear, so she definitely knows her stuff. But more importantly, she works with independent retailers all the time and is a small business owner herself. Additionally, Reyhle has been the Spokesperson for Small Business Saturday since 2014. If you’re an indie merchant running a brick-and-mortar store and/or ecommerce site, you should read Independent Retailer on a regular basis. An excellent publication for independent store owners, IR offers educational and actionable features on just about every aspect of running an indie retail business. And if you’re sourcing products for your stores, you just might find your next favorite vendor through the site’s supplier directory. Check it out. 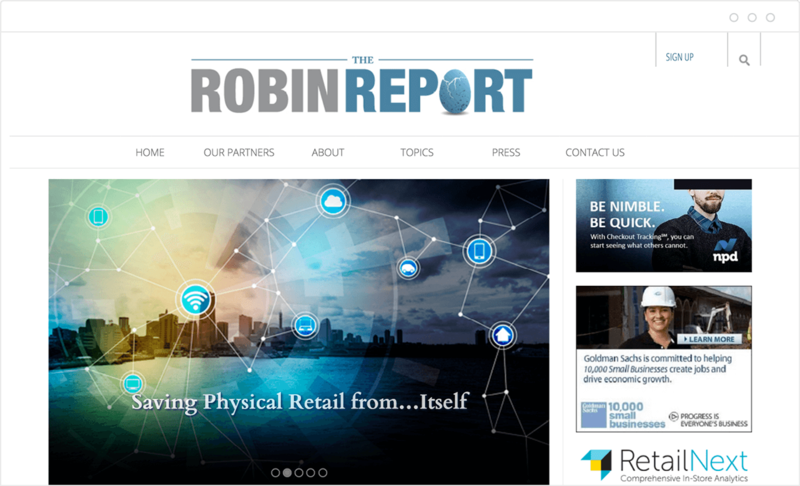 The Robin Report offers provocative analysis and in-depth content on the retail and consumer goods industries. Aside from keeping you informed with the latest retail trends and developments, The RR delivers insights and opinions on important retail topics such as branding, innovation, marketing, analytics, and so much more. The Graff Retail blog is all about helping retailers increase sales. 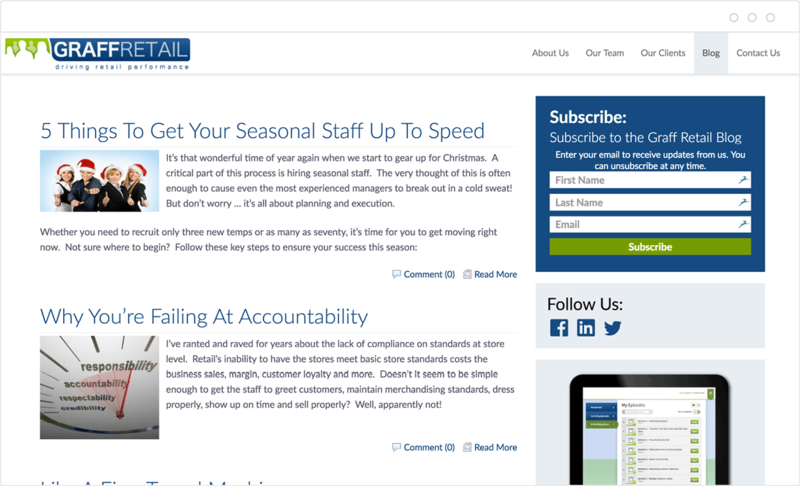 From insights on staff training and empowerment to tips on improving store performance, this site is a goldmine for anyone who wants to close more sales in their retail stores. And the best thing about this blog’s content pieces? Most of them are short and easy to read so you can put their lessons into action right away. And, if you like what the team at Graff is discussing each week in their blog, we encourage you to check out Graff Retail TV for award-winning online training solutions to help drive your sales revenues even further. “We love helping retailers. It’s what we do. So, to be recognized once again on the Top 25 Retail Sites, is not only flattering, but also quite satisfying…it means we’re doing our job and that’s fulfilling. eMarketer’s Retail & Ecommerce section is a great source for the latest survey results and data surrounding the retail industry. The site’s research-backed content will give you insights into industry trends, consumer habits and sentiment, and retail sales. It’s no wonder eMarketer is one of the most widely cited research providers in the media. 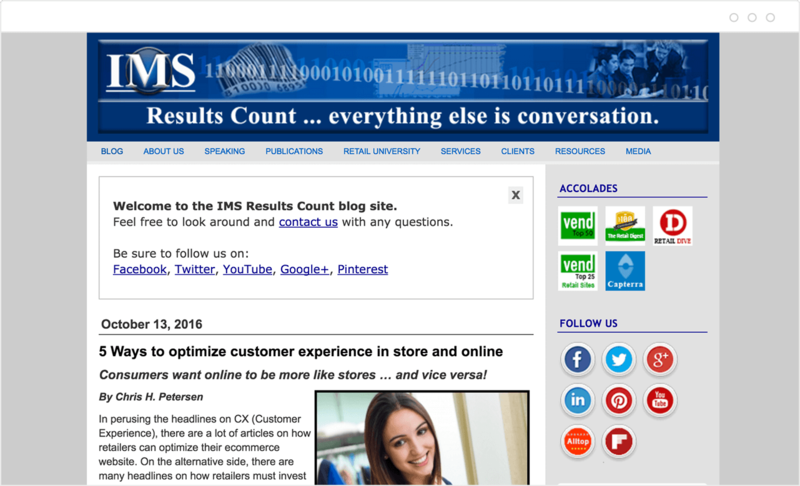 The IMS Results Count blog focuses on omnichannel retail and what merchants should do to survive in today’s modern environment. And while other sites cover similar topics, we love IMS because each post is thought-provoking and engaging. Retail concepts are explained through stories and examples, so readers walk away with ideas they can put to work in their businesses. 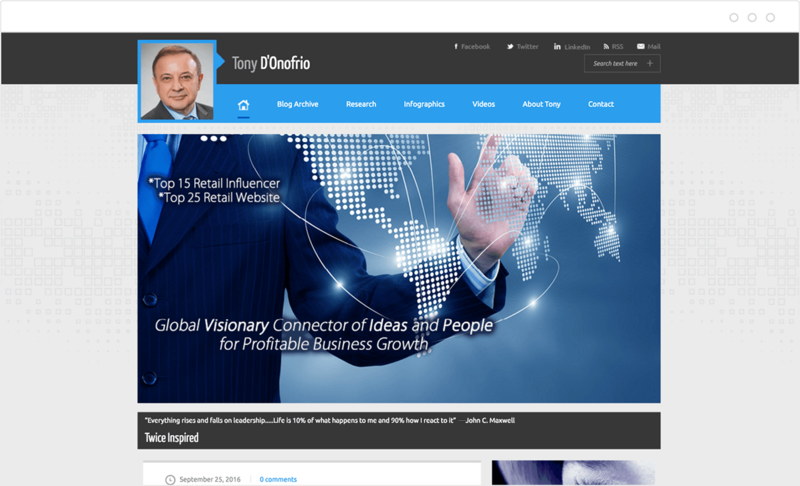 Any forward-thinking retailer should have Tony D’Onofrio’s blog’s bookmarked. 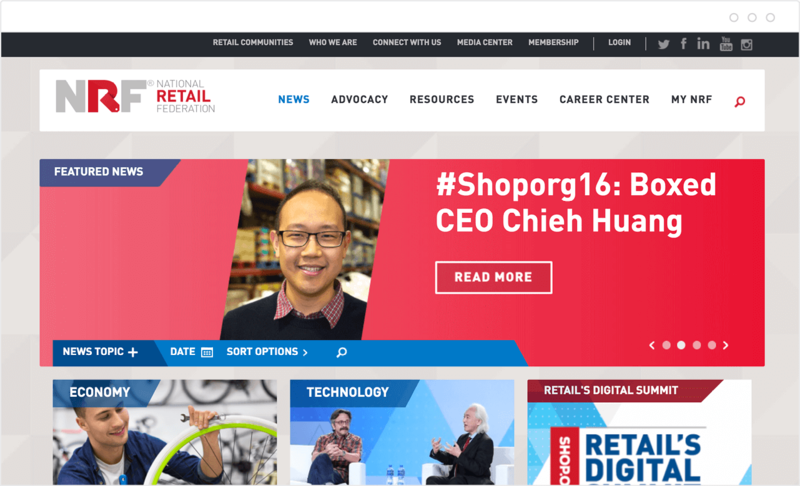 His website gives readers a wealth of insights into the state of the retail industry and where it’s going. Some of the common topics Tony discusses are retail trends, innovation, technology, and leadership. So if you love thinking about leading the future of retail, you should certainly check out his blog. This website is an excellent source for retail design news, trends, insights, and — of course — inspiration. design:retail has image galleries, articles, whitepapers, and events you can check out if you want to see and understand the most innovative retail environments of today and tomorrow. If there ever was an online “retail design heaven,” this is it. 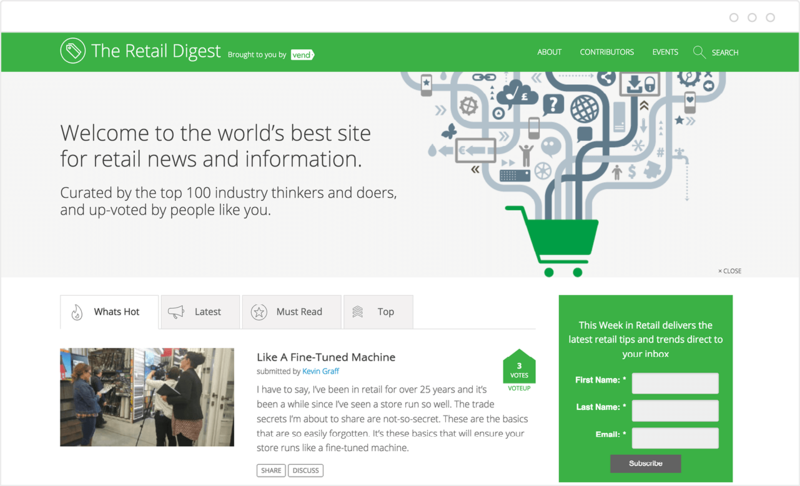 The Retail Digest is a community news site that brings some of the world’s best retail-centric content to the forefront. Content is curated by the industry’s top 100 influencers, and can be upvoted by readers, so you can bet that every article that makes it to the site offers a lot of value to the reader. Check out the site here to start reading. If you want to become a contributor to the community, you can fill out this form, and The Retail Digest will will consider you for the site. 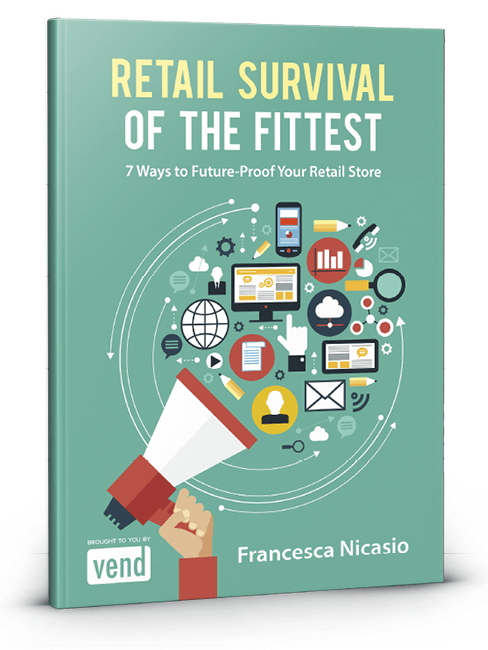 7 ways to future-proof your retail store. Preparing for the future of shopping. 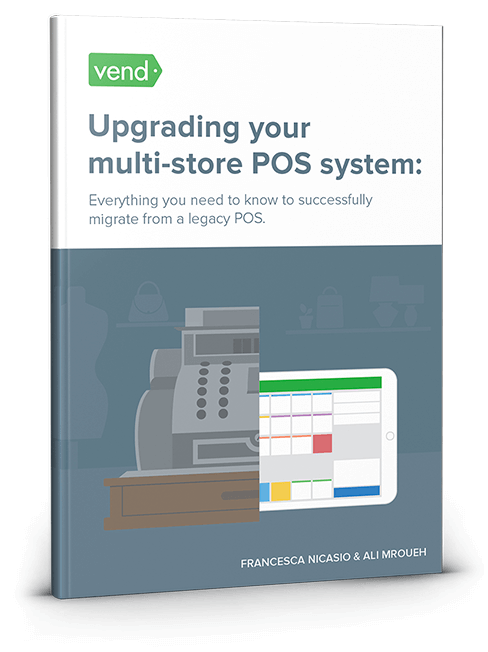 The definitive guide to upgrading your multi-store POS system.